My Wargaming Rules For 10mm Wargaming. In this part of the site I will list all the rules I use for wargaming and my opinions. 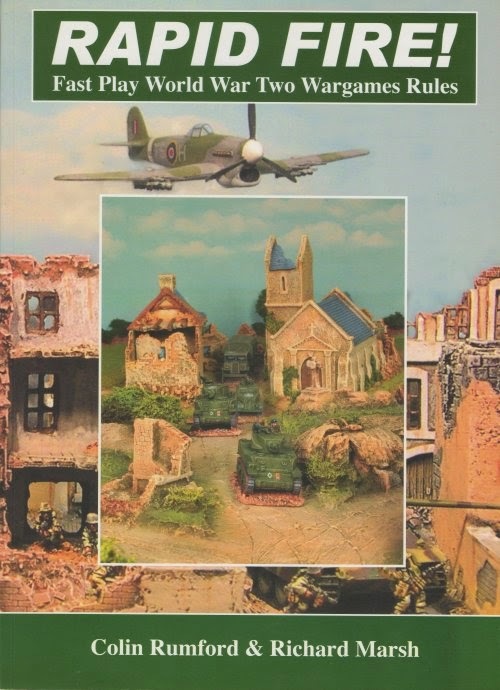 I started using Rapid Fire probably about 12 years ago when I joined the Grimsby Wargames Society which was written by Colin Rumford and Richard Marsh, Colin used to be a member of the Grimsby Wargames Society until he moved. However we spend most of our time playing Black Powder now at the club mainly with 15 mm ACW figures and 28 mm Napoleonic's the rules are written by Rick Priestley and Jervis Johnson, we also use Hail Caesar which was also written by Rick Priestley. Rules designed predominantly for 10mm or smaller.